We will recommend a rental price based on current market comps with an objective of having your property leased in the shortest amount of time. We track the number of calls, showings, and applications for each vacant property. With this information we are able to adjust the price as needed. We give our vacant properties maximum exposure through print, online and sign marketing. This includes daily updates to the syndicated listings on all major real estate websites, local media, tenant referral program, professional real estate signs, and our own top ranking website. More promotion proves less time on the market, and increased rents. Our state of the art tenant screening system enables us to weed out unqualified applicants in a timely manner so to move to the next without losing valuable time on the market. We look at all relevant information from the credit bureaus as well as evaluate rental history and employment information to ensure a qualified and responsible tenant. We charge 1 month rent as a refundable security deposit along with a pet deposit and a non-refundable cleaning fee. 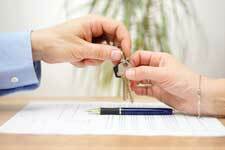 When necessary we will require 1.5 months’ rent for security deposit or a co-signor if enough credit isn’t available. Preparing leases for our approved applicants is something we do every day. We use the Arizona Association of Realtors lease along with 3 pages of addenda specific to Valentine’s “house rules.” Not only do we prepare the lease but more importantly we enforce the lease. Our highly experienced property manager will ensure your tenant complaints are researched thoroughly and handled efficiently. 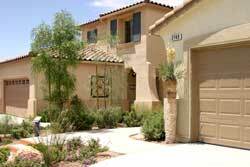 The Peoria real estate market is as lucrative as ever and continues to offer tremendous investment opportunities. Valentine Property Management enjoys a very advantageous partnership with the Valentine Group. The Valentine Group buys and sells, flips and holds, for many of our current investors. They will evaluate your property when you are ready to sell and they will be more than happy to assist in finding another investment opportunity.